Different textures make for an interesting visual experience in the garden. One such plant plant to incorporate for this goal is, Rosemary Willow- Salix elaeagnos- S. rosamrinifolia. I have six of these beauties and they have grown so quickly that the oldest has now reached a height of 8’ feet tall by 12’-15’ feet wide in the space of 4 years. These willows love sun or partial shade, but not deep shade and are hardy to zone 4. The grey- green leaves really do resemble rosemary, hence the name, and add the most beautiful willowy texture to the garden especially when contrasted with the dark green upright Rhamnus ‘Fineline’- hedge. Rosemary Willow looks terrific on its own or in a border with perennials. I have planted several in an avenue. Just be sure to give them plenty of room! I saw an older specimen in a garden and it had taken on a tree- like quality with the gnarly lower trunk exposed with pruning, which looked great. 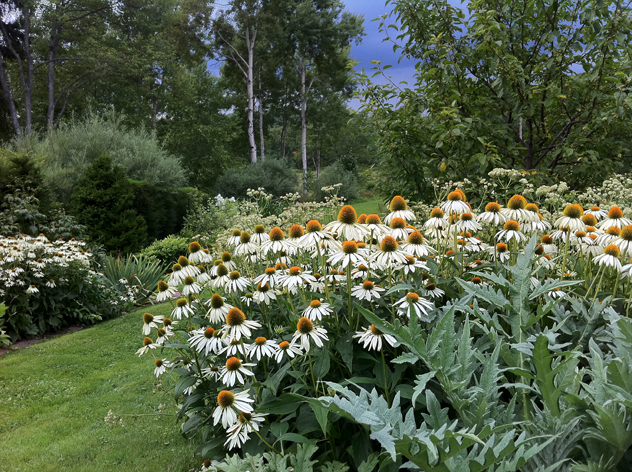 Some people cut them down to the ground every couple of years to control the size, but I have let mine do its thing, because I wanted the height and mass in my young garden ASAP. This really is one of the finest willows/plants you can grow. 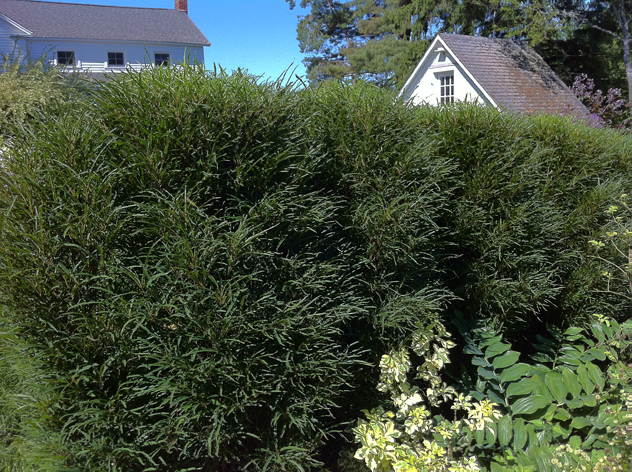 Another great texture is Rhamnus ‘Fineline.’ In my garden I have enclosed several garden ‘rooms’ using this plant as a hedge. I would have chosen a more classical hedging plant like Taxus-yew to enclose these areas if they were not the favorite snack of the deer around here. I decided to choose a deciduous shrub to make my hedge, because in my experience deer graze less on the plants whose leaves have fallen. 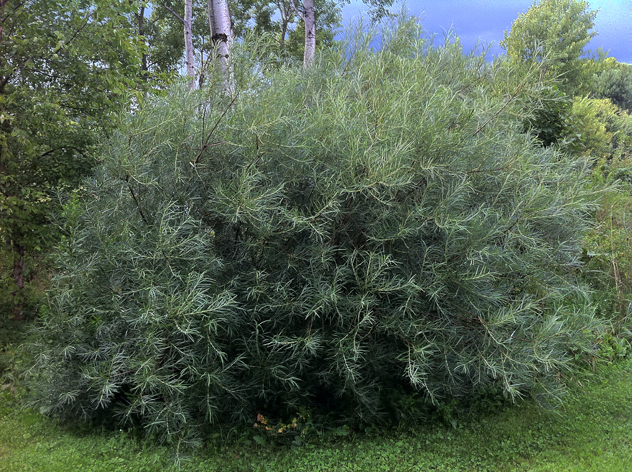 A fairly new introduction to the plant market, this shrub has a formal upright habit and loose willow- like leaves that are mid to dark green in color. 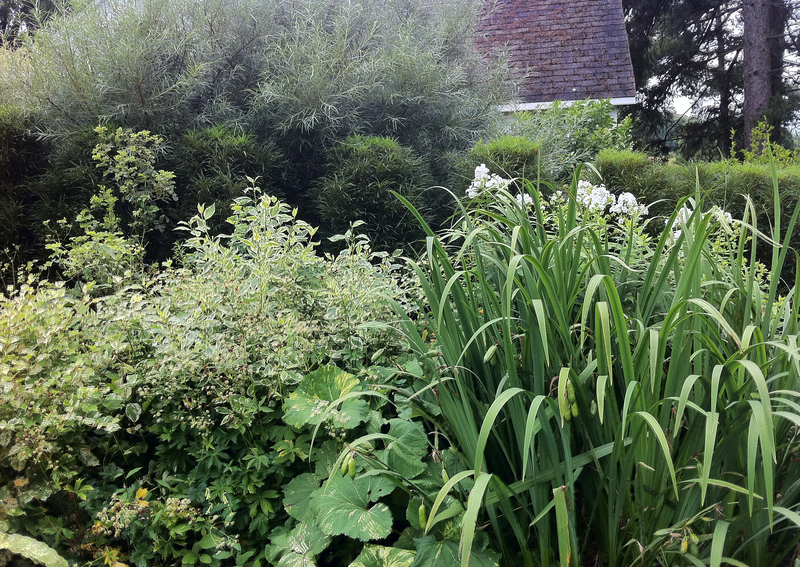 Gallery | This entry was posted in Shrubs and tagged Rhamnus Fineline, Rosemary Willow, Salix elaeagnos, Salix rosamrinifolia, Texture in the Garden. Bookmark the permalink.